Product prices and availability are accurate as of 2019-03-30 23:14:43 EDT and are subject to change. Any price and availability information displayed on http://www.amazon.com/ at the time of purchase will apply to the purchase of this product. 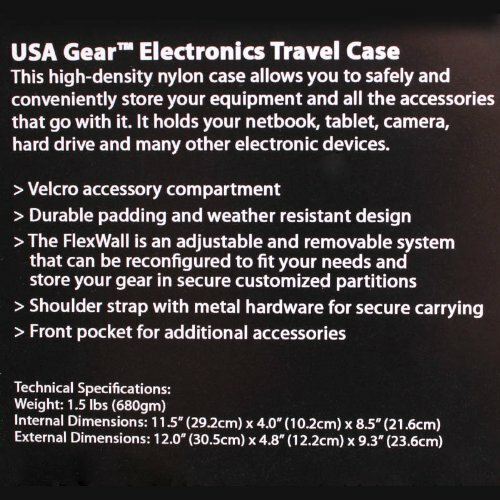 USA GEAR S7 Pro Portable Projector Carrying Case. Whether it's a meeting , a business trip , or even just a family movie screening , this carrying travel case will make carrying your portable projector and its accessories quick and easy. Be prepared for any situation and keep your device safe and properly stored! 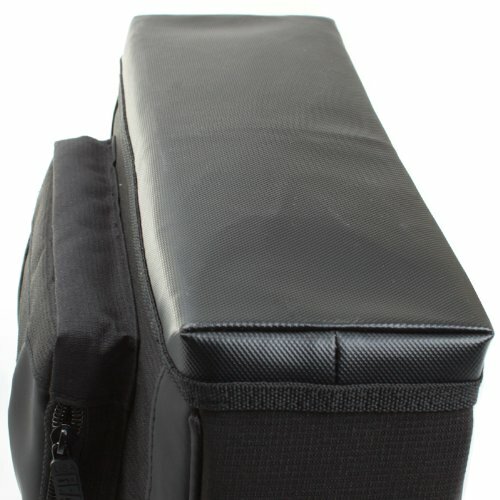 Protective Design - This USA GEAR premium quality carrying case is made to protect your Projector and Accessories! The bag's FlexWall organization feature is an adjustable and removable system that can be reconfigured for storage and transportation. 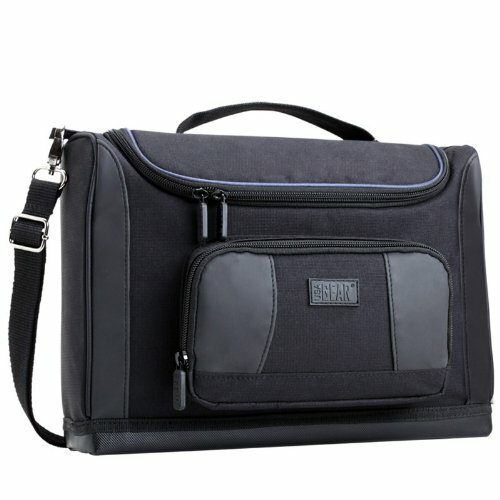 It also comes equipped with an internal mesh pocket for storing your laser pointer , cables or even a backup battery. Keep smaller accessories safe in the outer zipper pocket too! The soft , scratch-resistant interior lining protects your projector from everyday wear and tear. 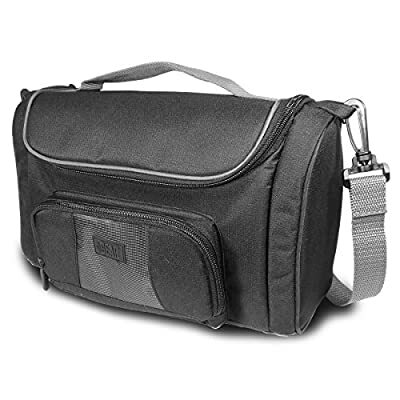 Portable Features - This compact and lightweight bag is perfect for bringing your projector with you on-the-go! It comes with an adjustable , removable shoulder strap for travel and also features a carrying handle for a secure grip. Quality Construction - This travel bag is constructed from weather-resistant base and RipStop Nylon. It also has a heavy-duty padded exterior shell to ensure your projector is safe from impacts! Compatible With. Abdtech ST-GS10 / Ezapor GM60 / Optoma W304M , ML1000P , PK301 Pico , Pico Genie M550 / Taotaole / 2015 Tronfy / Abdtech / DBPOWER RD-805 / Erisan UC40 , ER46 / DeepLee UC46 / Syhonic S8 , S5 , S9 , I3 / Epson PowerLite 1761W / Crenova XPE300 / Rienar PU2_B , UC28 , PU4B+ / LG PG65U , HX301G / FAVI RioHD / AAXA P300 , P700 , P4X Pico / LeFun GM60 / WhaleStone / Acer K11 , K335 / Uvistar UC46 / Pyle PRJG88 / iDGLAX iDG-787 / Kingmak UC46... And More!